Since 2007, financial fines have increased 45-fold, incurring additional compliance costs of multiple billions of dollars. For certain Banks, AML & KYC costs can be as high as US$500’000. 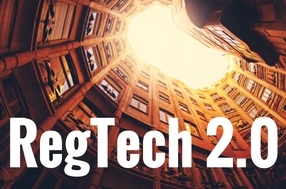 RegTech appears to offer a virtuous solution for regulators, banks and start-ups alike. However as the industry develop itself it will witnessed two faces. First RegTech 1.0 will digitized previous regulatory and compliance process (e.g. E-KYC), Secondly, RegTech 2.0 will re-imagine regulation and its framework in a digital word.